You can get your book evaluated and approved for its Catholicity and editorial quality with the Seal of Approval (SoA). The SoA is meant to be a signal to Catholic bookstores that they can carry the book without concern about its content. If your book has an Imprimatur or the CWG Seal of Approval, you can have your book featured in the CWG Marketing Newsletter which is sent to readers, bookstores and others in the publishing world. You can work with others to improve your writing in our critique groups. 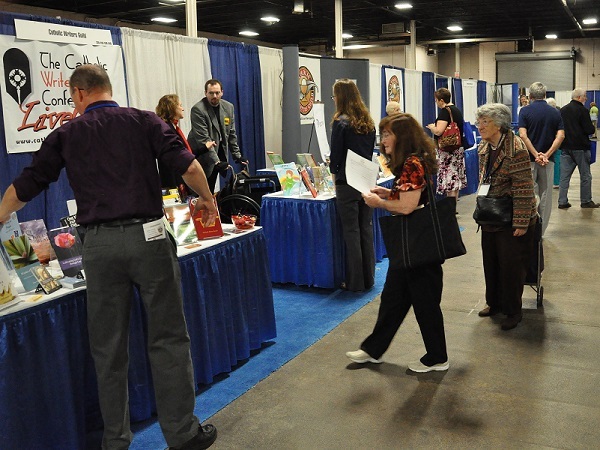 You can attend our writing conferences, hosted each year: the Catholic Writers Conference Online and the Catholic Writers Conference Live, held in conjunction with the Catholic Marketing Network. 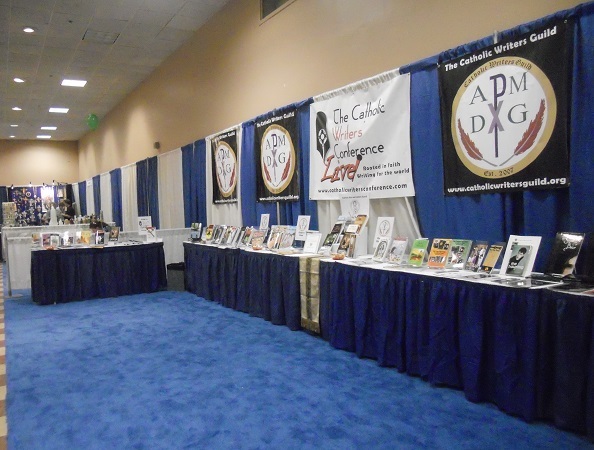 Promote your books at the CWG-sponsored booths at various conferences throughout the year. Take advantage of the employment opportunities posted in our private Facebook group. Join our online discussions in the private CWG chatroom and private Facebook group. If your work of fiction has the Seal of Approval, or an imprimatur, apply to the Catholic Arts and Letters Award (CALA). Use Animoto to create a book trailer or other promotional video. 2. Check your email for a validation message. In that email is a link to validate your email address. 3. Click the link, and you'll be taken to a shopping cart to pay your dues. If you cannot register online, please print and mail the registration form. Dues are $40 per year. If you are a member of a local CWG chapter, you may have additional local chapter dues, as well. Membership is free for priests, deacons, and professed religious who live in community and/or have taken a vow of poverty. This is intended to aid those who have limited means due to their roles in the Church. If you have limited means for other reasons, please contact us about our volunteer program. By joining, all members agree to uphold the Catholic Writers Guild Code of Ethics.